Last weekend, I left my kids home with their dad for girls’ weekend in Las Vegas with my former boss (relax you guys, she’s 70). We had a total blast. We gambled, shopped, ate very, very well, and even took in a female impersonator show. By all accounts we did Vegas right. When I scheduled the trip a month ago, I didn’t ask for my husband’s permission to go, nor did I spend the days leading up to the trip preparing things like meals, schedules to follow, or instructions of what to do in the event of. I just packed my suitcase, kissed my family, and headed out without guilt, sadness, or fear. 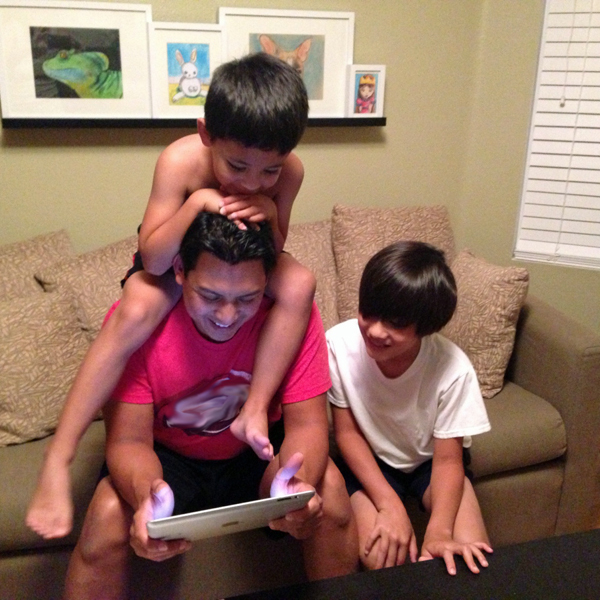 I knew my boys would do more than simply “survive” for a weekend in my absence – they’d have a blast! And why wouldn’t they? I knew it would be good for my family to have a boys’ weekend of fun without the ever-present demands and limitations of proper mom-induced parenting law.